Fish sampler. All the fish is locally caught and of the highest grade. 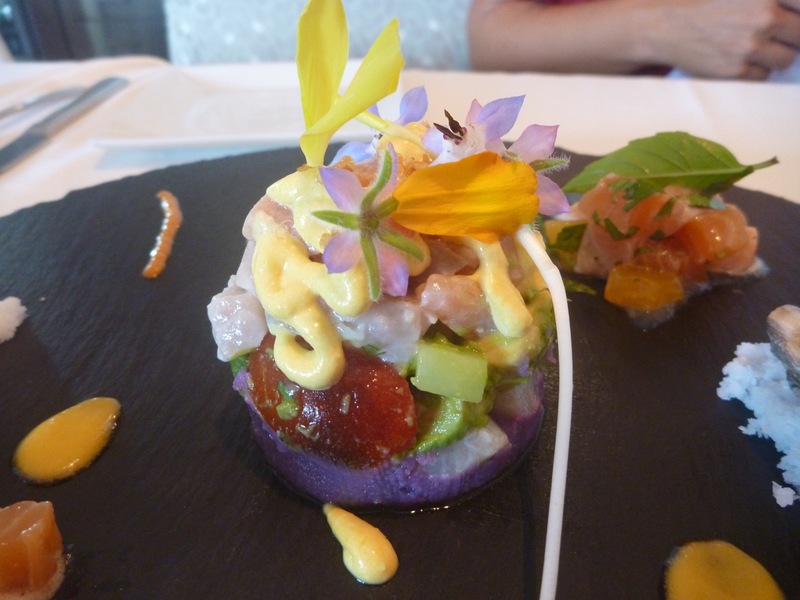 Included is a beautiful oyster resting on a bed of sea salt, lomi poke sashimi, and a centerpiece of artistic components. Picture this. You walk from the parking lot of a tiny Kapa‘a shopping center into a completely different world, where the ambiance and the food make you feel like you’re in a sensory-loaded dream. Chef Jean-Marie Josselin’s Asian-Pacific fusion cuisine already had a legendary reputation. But with JO2, his newest enterprise, he has topped anything he has done. JO2 is cozy, intimate and comprised of eccentric bits of luxury décor: art deco fixtures, textured wall panels, warm lighting. Contemporary with a subtle presence, everything is cream and with beige gradients, like an empty canvas waiting for the color. And the color is the food. In every dish, vibrant colors and flavors balance each other, like in an artist’s palette. 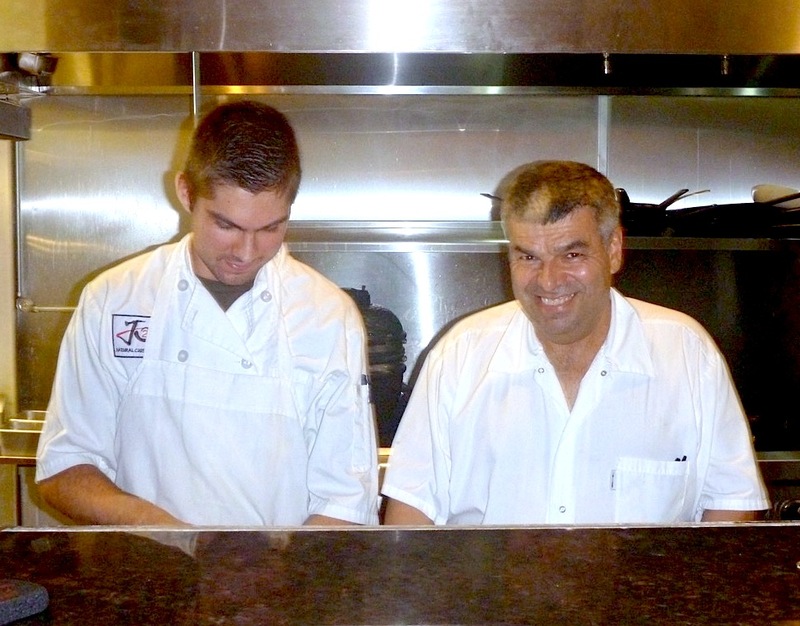 Jean-Marie Josselin, right, and one of his staff members are seen here at JO2’s kitchen. “How else would you do it?” he said, with a shrug. Josselin spends an immense amount of time with farmers, planning his menu. And he adjusts it frequently, based on what is available each season. For example, JO2 usually stocks eight types of tomatoes. But now, during hot and slow growing months, there are only two, which reflects on the menu. On the flipside, oxcart carrots, which take up to six months to grow (wow! ), are in season — and on the menu. 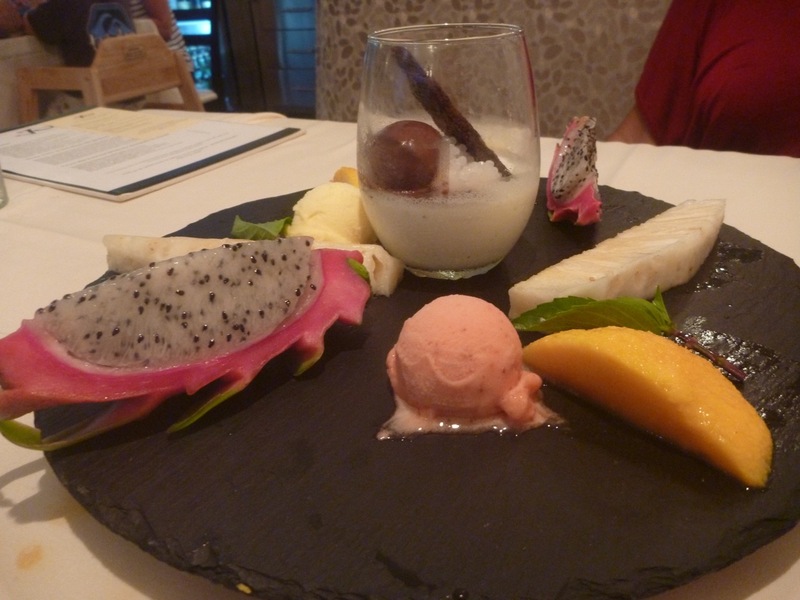 The dessert special is a selection of the freshest local seasonal fruit with tropical fruit sorbets. In the middle is the coconut panna cotta. Josselin and server VanNghi proposed our menu. As our dishes were being served, I marveled at the craft of producing beautiful food. The dishes are served family-style, and meant to be shared, so you can taste a few dishes No ka mala ‘ai mai (from the garden), I’a no uka a me kai (from the mountain to ocean), and Pupu. In between sighs and mouthfuls, I played a game with myself to identify the complementary elements. Traditionally French vegetables (nantais carrots, oxcart carrots, eggplant, local pumpkin) + creamy coconut curry (nice and spicy with thick slices of coconut meat) = Dashi Braised Nantai Carrot. Crème fraiche + sweet chili sauce = the sauces served with the Korean Style Short Rib (with a Vietnamese crepe). 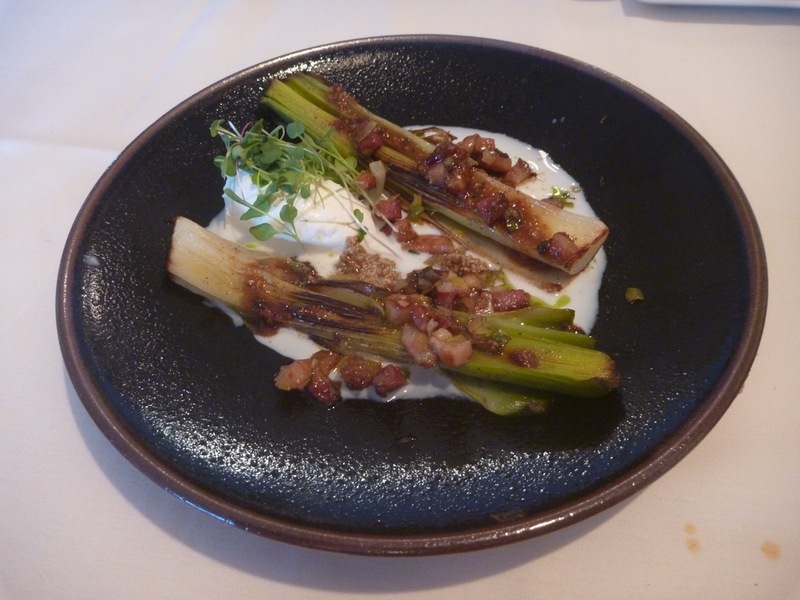 Bichotan Grilled Leek, served with wet bacon, sunflower pesto, toasted buttermilk and whipped goat cheese. Visit www.jotwo.com or call 212-1627 for information or reservations. Also, check their Instagram and Facebook accounts for holiday specials and events. JO2 is at 4-971 Kuhio Hwy in Kapa‘a. Fish sampler. All the fish is, of course, locally caught and of the highest grade. Included is a beautiful oyster resting on a bed of sea salt, lomi poke sashimi, and a centerpiece of artistic components. Poached Scallop Ravioli. It is a scallop mousse with taboo, cilantro, lemon and cayenne in a thin-skinned pocket, bathing in a guru butter hoisin sauce. They look so innocent and light, and are exquisite. Dashi Braised Nantais Carrot. Oxcart on the left, Nantais on the right, and they have dramatically different qualities. Crispy Duck Salad. Hiding under this screen of seasoned balanced kale and apples is duck confit. Pork Jowl Tonkatsu served with caracara orange on a fennel salad and a sauce of buttermilk oyster miso hoisin. The batter is crispy, the oranges are tangy, the sauce savory and the fennel slightly bitter; a winning combination. Every meal starts off with house made Hanalei taro chips and cool poached tomato wasabi dipping sauce.